We all have people in our lives who frustrate, annoy or hurt us. Consider those who claim 'I'm always right! ', workplace bullies, or obsessive personality types. And most of us hurt others occasionally, too. 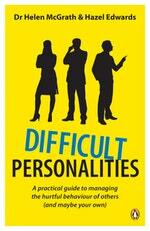 In Difficult Personalities Dr Helen McGrath and Hazel Edwards take common situations and offer strategies to help, including: anger and conflict management achieving empathy optimism and assertion making decisions about difficult relationships This is a reassuring guide to dealing with the challenging behaviour we encounter daily, as well as with our own. It's an essential resource for understanding, living with or working with people whose behaviour is frustrating, confusing or damaging. 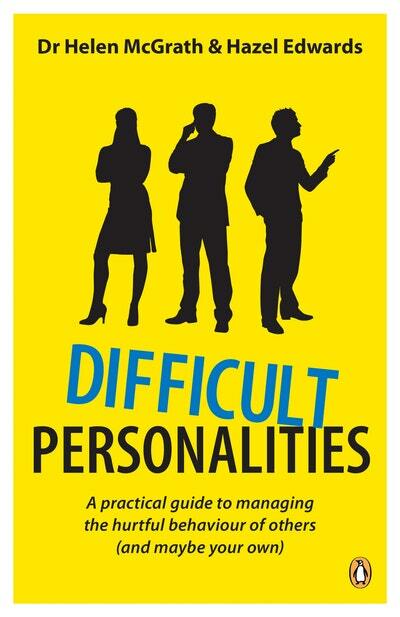 Love Difficult Personalities? Subscribe to Read More to find out about similar books.